The Journal of Dental Research compared Amalgam Separators for price and performance. Our medium priced model The Amalgam Collector™ significantly outperformed its more expensive competitors. EPA 40 CFR Parts 403 & 401, mandates separators and pH neutral line cleaners. 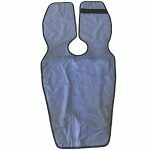 See Update from Amalgaway Inc.
Amalgaway is your environmental solutions company. 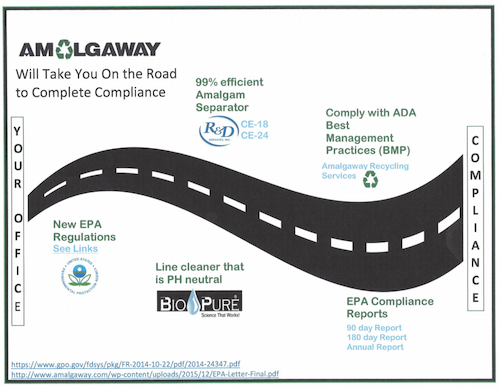 Amalgaway will take you on the road to complete compliance. Amalgaway's dedication to VIP Service provides unrivaled care for Dentists' unique environmental needs!